This object is in two separate parts. 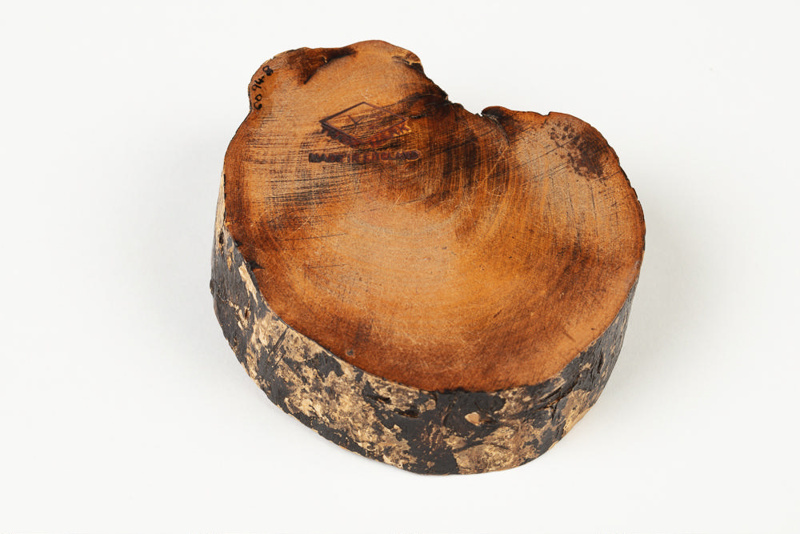 The base is a wood look ashtray. The second part is a metal figure of Sergeant Dan, the Creamoata Man. 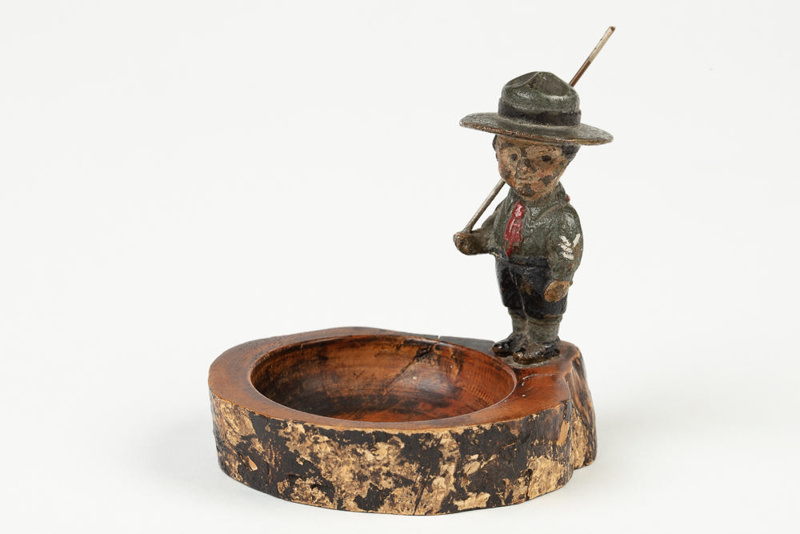 The ashtray was made by an English Company, Henry Howell and Company Ltd. whose main products were walking sticks and canes. 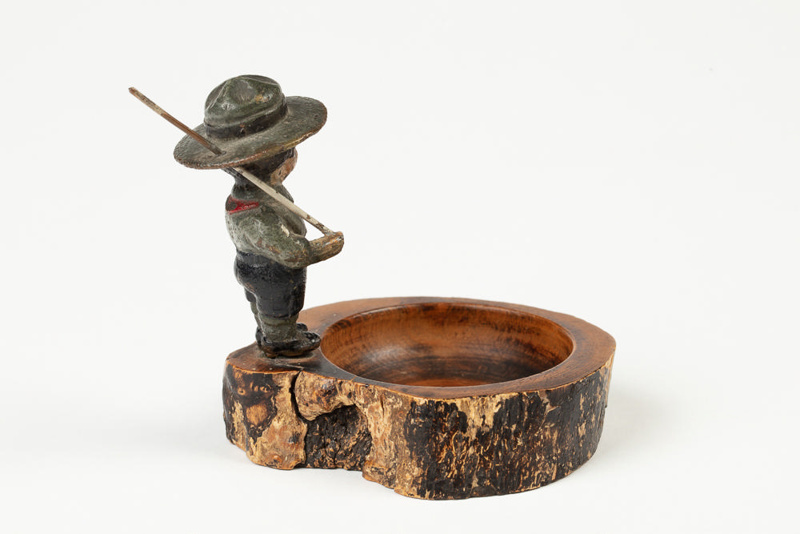 It also produced a range of novelties under its YZ Trade Mark which were largely smoking related products such as: ashtrays, pipe racks, match and pipe holders. Birds were commonly a feature of YZ ashtrays so it is very unusual to see Sergeant Dan on a YZ ashtray. Trademark 'YZ' stamped within a diamond shape on base with the words 'TRADE MARK' and 'MADE IN ENGLAND' also stamped on the base.